Carl Jefcoast was born on February 2, 1926, in Cleveland, Mississippi. 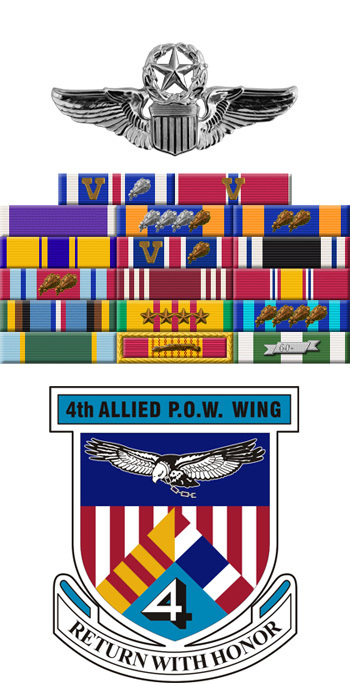 He enlisted in the U.S. Army Reserve on August 17, 1953, and served until entering the Aviation Cadet Program of the U.S. Air Force on July 7, 1958. He received his commission as a 2d Lt and his pilot wings at Greenville AFB, Mississippi, on October 13, 1959, and then completed advanced flying school and F-100 Super Sabre Combat Crew Training in September 1960. Lt Jefcoat's first assignment was as an F-100 pilot in Japan from September 1960 to November 1962, and during this time he deployed to Southeast Asia in support of the Vietnam War from April to July 1962. From 1962 to 1966, Capt Jefcoat served as an F-100 pilot and as an instructor pilot and scheduling officer with the 4517th Combat Crew Training Squadron at Luke AFB, Arizona, and then as an F-100 pilot with the 416th Tactical Fighter Wing at Phu Cat AB, South Vietnam, from September 1967 to June 1968. His next assignment was as an F-100 pilot with the 494th Tactical Fighter Squadron at RAF Lakenheath, England, from July 1968 to October 1970, and then on the staff of the 48th Tactical Fighter Wing at RAF Lakenheath from October 1970 to June 1971. Maj Jefcoat then served as an F-100 pilot with the 492nd, 493rd, and 494th Tactical Fighter Squadrons at RAF Lakenheath from June 1971 to July 1972, and during this time he completed F-4 Phantom II Combat Crew Training. He deployed to Southeast Asia for a 3rd time in July 1972, serving as an F-4 pilot with the 13th Tactical Fighter Squadron at Udorn Royal Thai AFB, Thailand, from July 1972 until he was forced to eject over North Vietnam and was taken as a Prisoner of War on December 27, 1972. After spending 93 days in captivity, Maj Jefcoat was released during Operation Homecoming on March 29, 1973. He was briefly hospitalized to recover from his injuries at March AFB, California, and then served as an instructor pilot with the 311th Tactical Fighter Training Squadron at Luke AFB from January 1974 to June 1976. 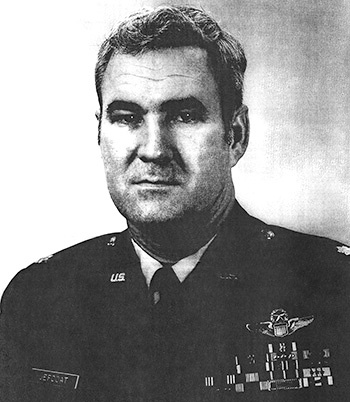 Col Jefcoat then served as Chief of the Flight Safety Division with Headquarters 5th Air Force at Yakota AB, Japan, from June 1976 to June 1978, followed by service back at Luke AFB, where he retired from the Air Force on August 1, 1980. Carl Jefcoat died from hypoxia after making an emergency landing in a QF-100 at England AFB, Louisiana, on March 13, 1987, and was buried at the New Cleveland Cemetery in Cleveland, Mississippi. Captain Carl H. Jefcoat distinguished himself by extraordinary achievement while participating in aerial flight as an F-100 pilot in Southeast Asia on 12 March 1968. On that date, Captain Jefcoat flew on a night fire suppression mission southwest of Khe Sanh. Confronted with intense hostile ground fire and rugged terrain, Captain Jefcoat made multiple low altitude bombing and strafing passes without the aid of flares, which destroyed two antiaircraft sites and silenced two more. Captain Jefcoat's outstanding courage and aggressiveness suppressed the hostile ground fire and made it possible for the following flights to complete their missions safely. The professional competence, aerial skill, and devotion to duty displayed by Captain Jefcoat reflect great credit upon himself and the United States Air Force.